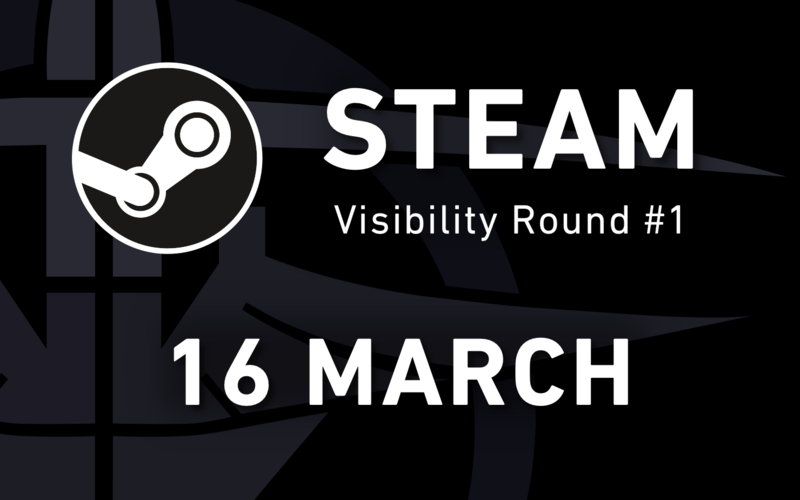 CONFIRMED: We'll be starting a Steam Visibility Round on MARCH 16th. People who have previously installed, as well as those who are interested in similar games will see Subspace Continuum in various places in Steam: their recommended list, discovery queue, and so on. It will not appear on the front page or receive a guaranteed 500,000 impressions (views) like the Launch did. (We no longer have access to a "relaunch," as Steam changed how it works over the last 9 months or so.) But we should see a noticeable bump in new players for a total of 30 days. What we do with that will determine how effective is this first of 5 visibility rounds. Fly with them on the same freq and show them the ropes. Get in a terr, teach them how to attach to you, and give them a pub tour. Tell them what each ship can do. Learn the alternate laptop-friendly key config (see post with full config here, and image of the config here), and teach them the keys for it. Try out the new help underlay graphics with !helpon and !helpoff, which will be on by default for all new players. Install Steam on your own so you know how they came in and how the Steam install is different (don't worry, it won't overwrite your current settings). Teach them about chats, teamchat and PMs. If they come back around, tell them about event arenas, elim, wb/javduel/base, and leagues. Time and time again, we've all seen it's this kind of connection and personal attention that converts a one-time player into a permanent one. If you're interested in helping on a more serious level, ?message me in-game. I can give you a chat that that shows some basic stats about entering newbies, such as how long they've played for and how many times they've logged in. If you have other ways you want to help, please mention them in this thread and I'll update this section. We'll get far fewer players from this Visibility Round than the Launch. But a Visibility Round is much more specifically targeted at people who will enjoy our game. Also, many of the problems we had for a year and a half after the launch have been fixed -- including being unable to change resolution & being stuck at very low res if it was that computer's first install of Continuum (! ), a lack of tutorials linked to the installer, no baked-in key config that would work on laptops, having to download huge zone files before entering, etc. This means our retention rate should be significantly higher -- a bigger % of new players will stick around. Thanks for all your patience leading up to this point. It's required a surprising amount of time. But for this Visibility Round to benefit SS in the long-term, we'll all have to put in some effort. So let's pull together ... for the spaceship game. Last edited by qan; 03-06-2018, 01:18 AM. ps. Didn't know there was a laptop key config. Thx! when is the steam visibility? Can we proactively remove subarena res limits first? I'm at 1440p now and it's frustrating, hardly any events are playable because someone put a 1920x1200 res limit in. Is it possible to automate and fix this for every arena? or if someone tells me how it's done maybe I can tell you how to automate it. Can we proactively remove subarena res limits first? We did go through at one point checking quite a lot of these. Shadowmere put in a lot of work testing arenas, and I went through and fixed them up. It's possible he was testing at 1080p, though, and missed a few outliers with larger res limits. There are a small number of arenas that require res limits due to their design (shows a border otherwise) but those are few and far between. Also, TWLD still has a res limit. Other than that, if you see any arenas that are giving problems, please post them here or email them to me and I'll fix them up. March 16th. Updated this thread to reflect that. TWD/TSL will start shortly after with many upgrades. I think ?go bug was the one I saw the other day. The problem is there's loads... this happens with about 50% of the events, I go there and can't play. Hence my focus on automating the process. Is there a folder full of maps somewhere? Is there something in a map which can be read to detect a res limit setting? If so... it can't be hard to build something to loop through them, detect the res limit, and print the output... I'm happy to do it if provided with the files and the details about what to look for. Last edited by Rab; 03-07-2018, 04:37 PM. Good catch. Thanks for checking those. This looks like it's widespread enough of a problem that it'd be worth doing programmatically. Pretty easy to feed in a list of arenas, have a bot ?go to each and then do the 2 ?set commands. My guess as to how this became so widespread is that spawn.cfg once included res limits, and they were passed on. They're probably quite high, so normally they wouldn't be noticed. But this is definitely something that needs fixing before the vis round starts. There are only a very small number of arenas on there that need a res limit. TWLD, TWDTD (maybe?) ... then a few such as the full graphical overhaul arenas, can't remember which. Battleship might be one, for example. And a few use full-screen LVZ (enigma?). Any others I'm forgetting? That sounds like the right plan to me. I'd still argue that no arenas should be limited if we want new players to play them, but players have voted before to keep res limits in competitive warbird, so I think we have to respect that. Yes in the hypothetical event that there will still be some form of competitive warbird gameplay, we should allow Ixador, Dicko, Attacks and co. to stray at eachother with their 20 year old resolutions like they have always done. Well, apart from Ixador, who started SubSpace last year. Maybe Jones and Cres will show up as well, we do so sorely miss them both.